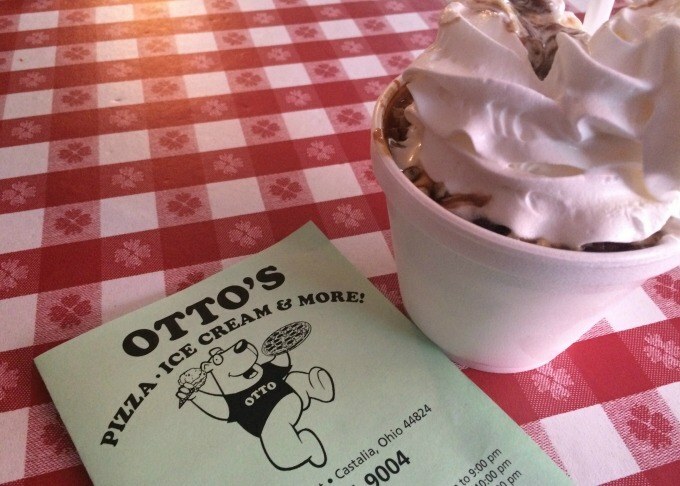 Otto’s Pizza, Ice Cream & More in Castalia, Ohio is located in what used to be one of my favorite stops in Ohio. As a preschooler, I visited Castalia often- nearly every time my parent’s or grandparent’s drove along the lake, they’d detour so we could stop at the Blue Hole. I was young enough that I don’t actually remember much about the roadside attraction that is now closed. My only memory is thinking that the Blue Hole was endless and went on forever. The “Blue Hole” has now become part of the Castalia Fish Hatchery that is operated by the ODNR Division of Wildlife. I’ve always wanted to visit but every time I’ve stopped, it’s been closed. This past Saturday was no different. As a frequent traveler, one would think that I would learn to pay attention to hours of operation a little more closely. Anyway, my husband and I drove through Castalia on our way to the lake thinking we’d swing by the fish hatchery- which isn’t open on Saturday. Disheartened by my mistake and by the rainy weather and flooding we were encountering on the country roads, we decided to grab a bite to eat and head back home. 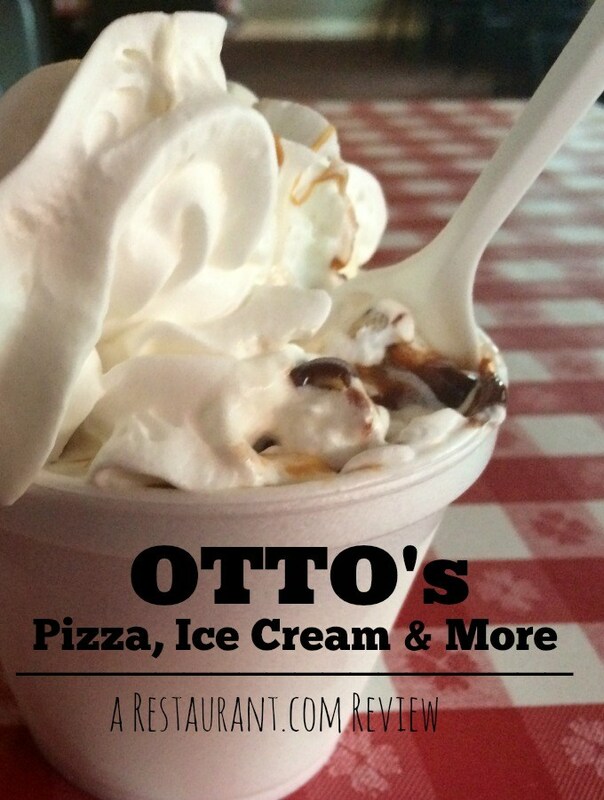 My Restaurant.com mobile app showed a gift certificate for Otto’s so we decided to try it out. While neither of us were starving, so we didn’t want to order an entire pizza, but we did need to spend $20 to use our $10 off gift certificate. We decided to order French fries and deep fried mushrooms to share and my husband ordered a Chili Cheese Dog. While we were waiting for our order we ate our sundaes- kind of like an appetizer. My husband ordered a medium Hot Fudge Sundae, I ordered a medium Turtle Sundae. My sundae came with whipped cream and pecans and it was delicious. My husband seemed to enjoy his as well. The sundaes were very generous in size. As our server handed me mine, I knew that I really should have ordered a small. I tried, but I just couldn’t finish it so by the time our food arrived, I wasn’t very hungry. And neither was my husband. The French fries were crispy, but a little over done. I don’t normally eat ketchup, but probably would have enjoyed them more with something to dip them in. My husband must have thought the same because we pretty much left them sit. He did enjoy his Chili Cheese Dog. I think it’s because I refuse to cook hot dogs unless it’s for a bonfire. 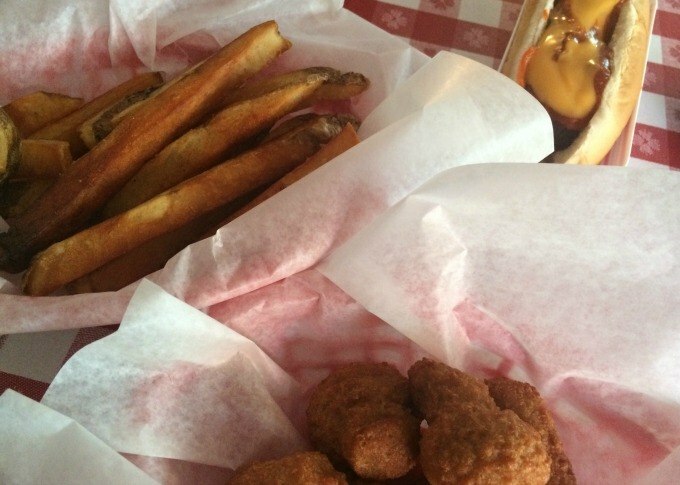 The Breaded and Fried Mushrooms were good- can you really go wrong with fried mushrooms? I think not. 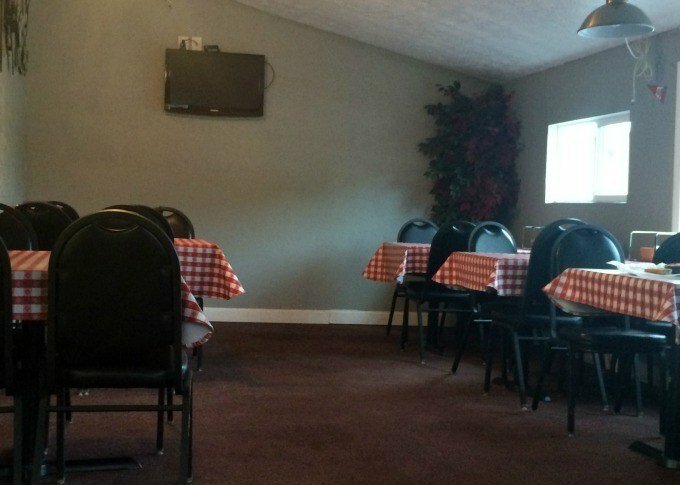 Since it was raining outside, we dined in the small dining area. The TV was on so we watched Law & Order while we ate. Ambiance I tell you. There was another couple there at the same time we were, enjoying a pizza and I instantly regretted our meal choices. The pizza looked great. There is also several tables outside which would be perfect on a nice summer’s day. Bottom line- would we eat here again? Yes, if we were in the area. We’d definitely stop in for some ice cream, though we’d know to order a smaller size. I also wouldn’t mind trying a slice of the pizza that looked so delicious. 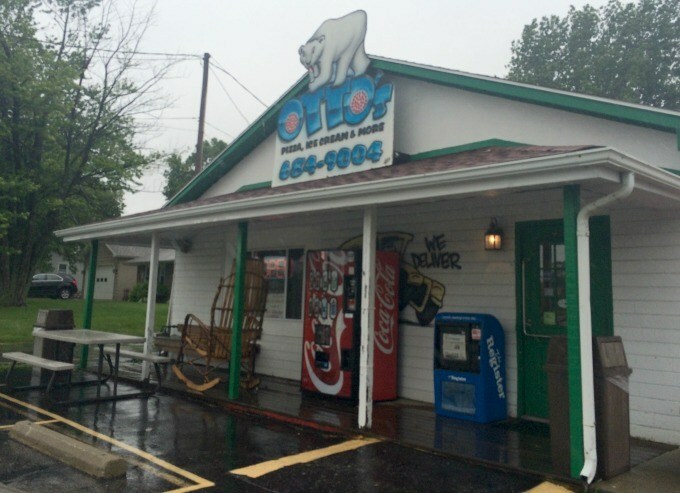 Maybe next time I visit Castalia to see the fish hatchery, I’ll stop at Otto’s for a second time. Hours: Summer Hours: Monday- Saturday 11 a.m. to 10 p.m.